M+B is pleased to present the first exhibition in Los Angeles of large-scale color work by internationally respected Italian photographer Massimo Vitali. 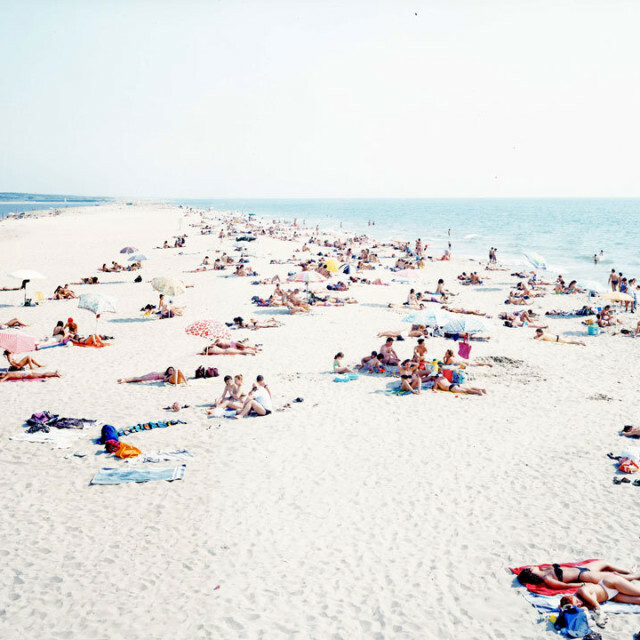 Ever expanding his oeuvre of highly populated landscapes, here Vitali photographs the urban masses as part of his signature beach and city vistas in Europe, as well as his new, never-before-seen photographs of New York beaches. The scale and density of these images allow the viewer to experience the scene as a participant, but from a viewpoint that is often inherently voyeuristic and detached. The individuals of the crowd, frozen in a moment, are not only left exposed to our endless scrutiny, but also, given the sunny vistas and a vision of a world at play, often the subject of our envy. Massimo Vitali has exhibited extensively in museums and galleries internationally, and his work is included in the some the most important private and public collections. His two published monographs include Massimo Vitali: Landscape and Figures and Beach & Disco, both by Steidl. This is Massimo Vitali's first exhibition at M+B.